Just weeks before the start of the Street Fighter V pro season, top American player Victor 'Punk' Woodley has left Panda Global to pursue free agency. The Street Fighter V: Arcade Edition esports season is set to kick off in just a couple of weeks. But prior to Final Round 20, one of America's top players has declared free agency. Victor "Punk" Woodley announced his free agency on Sunday morning, annoucing that he was leaving Panda Global. The announcement comes out of the blue, with just two weeks before the start of the new Street Fighter V season. No word on Punk's immediate future, but as one of the game's best players, he'll undoubtedly be in demand from top esports organizations. Punk led the Capcom Pro Tour leaderboards for a large chunk of last season. 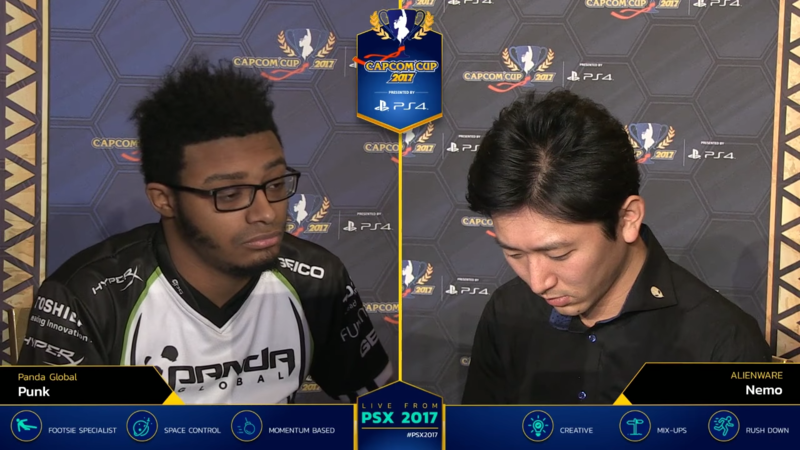 He finished in second place at Evo 2017 after an excruciatingly close battle with eventual winner Hajime "Tokido" Taniguchi. Punk was bit by the upset bug at December's Capcom Cup where he started the event by losing to Last Chance Qualifier winner Naoki "Nemo" Nemoto, who would ultimately finish in 3rd place. Even with that loss, Punk fought all the way back and just narrowly missed the Top 8. The parting between Punk and Panda Global appears to be an amicable one, with Punk's now-former team issuing a statement on Twitter. We wish the best of luck to Punk as he explores free agency! That's two of America's top Street Fighter players currently floating around free agency. Almost a month ago to this day, 2016 Capcom Cup champion Du "NuckleDu" Dang also declared his free agency, parting ways with Team Liquid.